Don obtained an undergraduate degree from the University of Alberta in 1981 and a law degree from the University of Victoria in 1984. He was called to the Bar of British Columbia in 1985 and now has represented clients in the courts of BC for over thirty years. He has successfully obtained several multi-million dollar settlements and verdicts for seriously injured people throughout Western Canada. Don’s sense of accomplishment is derived from verdicts and settlements which improve the lives of his clients. To this end, every year Don attends or presents at advanced trial advocacy and medical malpractice conferences throughout Canada and the United States. His extensive trial experience, network and training relieves pressure to settle if a more appropriate amount is obtainable through either jury trial or trial by judge alone. He is keenly interested in social justice, public safety and quality of life issues for people with disabilities. He has developed a special interest and commitment to the families of children who have suffered brain injury and cerebral palsy due to birth trauma and medical negligence. Don was President of the Trial Lawyers Association of BC (2001-2002), having served for many years on the TLABC Executive Committee, and later as Governor. He regularly lectures at TLABC-sponsored seminars and contributes to its legal journal, The Verdict. In addition, he is a member of the Ontario Trial Lawyers Association and its Medical Negligence subsection. He is also a member of the American Association for Justice, including its Birth Trauma and Medical Malpractice litigation groups. Mark obtained an undergraduate degree from Simon Fraser University in 1999 and a law degree from the University of British Columbia in 2002. He was called to the Bar of British Columbia in May of 2003 and has spent the entirety of his thirteen years in private practice. Mark’s experience as a litigator includes time as both a criminal defense lawyer as well as a federal prosecutor. His trial work has taken him around the province, and has involved cases in front of both judge alone and juries. He has appeared in front of the Provincial Court of British Columbia, Supreme Court of British Columbia, British Columbia Court of Appeal, and Federal Court of Canada. He has also been a guest instructor at RCMP search warrant courses, a clinic supervisor with the UBC Law Students Legal Advice Program, and a moot judge at the UBC Law School. Mark’s practice is primarily focused on ICBC injury claims. He is committed to dealing with ICBC in a way that protects your interests, and ensures that you are treated fairly in relation to your injuries. Whether by settlement or trial, he is dedicated to ensuring that you are properly compensated for any harm suffered. Mark also has an extensive volunteer background, having been a soccer coach and referee for many years. He is a past chair of the Mountain United Football Club, serving competitive youth soccer players from Burnaby and the North Shore. He was also one of the founding governors of the British Columbia Soccer Youth Premier League. He maintains a keen interest in amateur and professional sport, particularly youth soccer and collegiate football. Maida graduated from Capilano University’s paralegal program in 1994 and has worked consistently as a paralegal since that time. 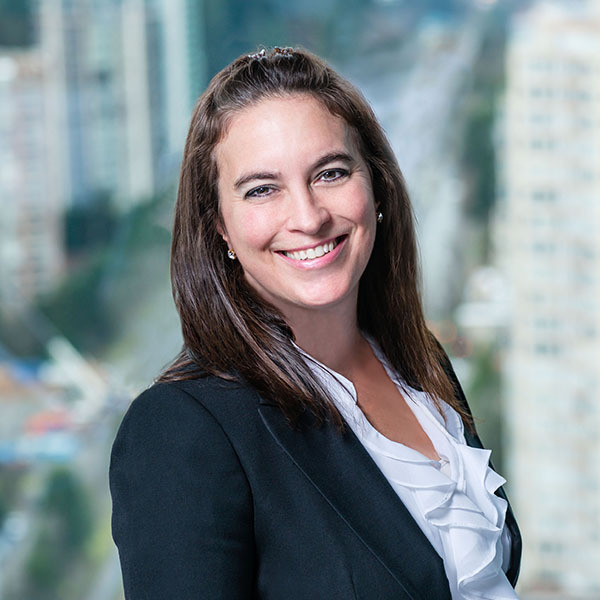 She currently assists Don with serious ICBC claims and complex medical negligence files, including birth trauma and cerebral palsy cases. Among Maida’s responsibilities are case investigation, documentary disclosure, legal document preparation, legal research and analysis, trial preparation, and witness interviews. Her work ethic and commitment to the firm’s clients are second to none. Lisa is a graduate of Capilano University’s paralegal program. Lisa has handled exclusively plaintiff personal injury claims for over twenty years. She assists Don Renaud with complex medical negligence cases and serious ICBC claims. Lisa is involved in the process from initial client consultation to follow-up with clients post-settlement or verdict. Her responsibilities include case investigation, documentary disclosure, legal document preparation, trial preparation, and witness interviews. Clients find Lisa to be personable, kind and exceedingly competent. Par brings over fifteen years of experience in plaintiff personal injury to the firm. She assists on ICBC injury claims resulting from motor vehicle, cyclist, and pedestrian accidents. Her responsibilities in the process include initial client intake, case investigation, document disclosure, legal document preparation, trial preparation, and legal research. Par is fluent in both Punjabi and Hindi languages. Outside the office, she enjoys short distance running, competing in various short races in the Lower Mainland, and spending time with her young family. Hoi’s can-do attitude and array of talents, from computing to administrative skills, makes her an essential member of the team. Hoi holds a Bachelor of Arts in Computer Science and Psychology from Flinders University (Australia) and is conversant in Cantonese and Mandarin. In her spare time, Hoi is an avid baker. She regularly delights the office with her Martha Stewart-like creations. The firm is very supportive of this hobby.